E&S Solutions brings a unique set of skills and relevant business experience to our customers, with over 20 years of financial planning experience. We have a broad history of executive leadership positions at some of the major office product and supply companies with annual revenues up to $500MM as well as start-ups with zero revenues. Our hands-on experience with budgeting, working capital allocation, and bank and private equity financing means we uniquely combine the “big company” experience alongside that of the small business entrepreneur. All businesses should operate against a budget with a plan for both income and expenses. By developing a plan and then comparing actual performance to the plan each month, business owners become empowered with the knowledge that enables better decision making. Owners can’t spend what’s left at the end of the month if they have to invest in inventory or hold back for a quarterly tax payment. With a budget, owners can account for and foresee upcoming expenses as well as compare how they did against the plan for previous accounting periods. This is the statement that measures a company’s financial performance over a specific period of time and summarizes how a business generates its revenues and incurs its expenses. Also known as a “profit and loss” statement it’s the most straightforward financial statement for non-finance disciplines to read and understand. This statement is also best used for comparing actual performance each month to the budgeted performance. Typically, a budget format should be the same as the income statement format to facilitate simple comparisons. Typically the most neglected of the three main financial statements, but arguably the most important, as positive cash flows are essential to solvency. 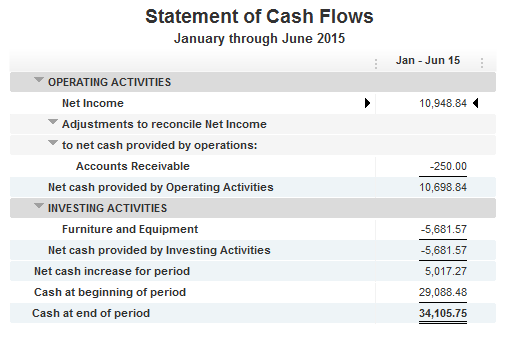 Cash flow can represent past activities, such as the sale of a product, or a forecast of future activities, such as investment in inventory or a reduction in accounts receivables as well as future sales. Cash is crucial for an entity’s survival to ensure that creditors, employees and others can be paid on time. If a business doesn’t have enough cash to support its operations, then it’s said to be insolvent. Companies with positive cash flow may re-invest into the business to generate more cash and profit in the future. This is the financial statement that summarizes a company’s assets, liabilities and shareholders’ equity at a specific point in time. The statement shows what a company owns and owes, as well as the amount invested by the shareholders and must follow the following formula: Assets = Liabilities + Shareholders’ Equity. 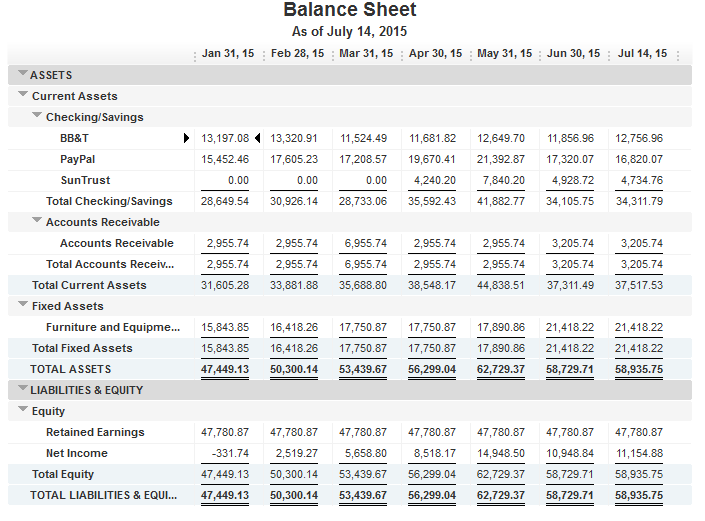 It’s called a balance sheet because the two sides balance out. Accounts such as cash, inventory and property are on the asset side of the balance sheet, while accounts such as payables and debt are on the liabilities side. Many small businesses manage their financials on a cash basis and have a tendency to regard whatever’s left over at the end of the month is available to spend. This may work all the time there’s some cash left over but, in business that’s not always the case. Just because you’re a small to medium size business doesn’t mean you should operate without a budget or a plan. Budgeting and monitoring performance against plan should be considered an essential element of managing a business, regardless of size. Setting aside half-hour every month to review your month-end financials and variances to plan, provide essential information for go-forward decision making.